The classic. 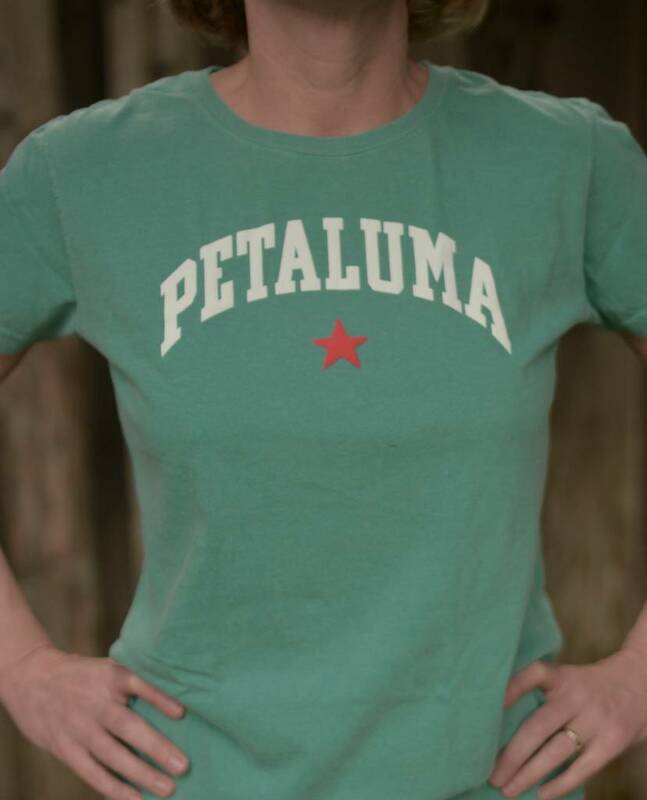 The Petaluma Star t-shirt in 100% comfort cotton. One of our most popular t-shirts. Pre-washed and thus pre-shrunk for a great cozy fit. Standard fit, but order one size up if you like a looser t-shirt through the shoulders and bust. Currently available in Aqua with a red star, Lavender with a white star, and Mystic Blue with a navy star.